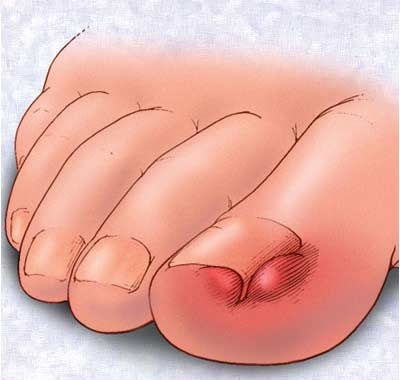 You are here: Home / Foot Care Blog / Toenail Fungus / Toenail Fungus: Are Heels To Blame? July 16, 2013 /1 Comment/in Toenail Fungus /by Jenn F.
Toenail fungus, otherwise known as onychomycosis, is an infection caused by a harmful type of fungus that infects the body. Our feet are covered in fungus normally, but it doesn’t always cause problems in the body. What fungus needs to really wreak havoc is three things: 1) A warm, dark environment, 2) A food source, like sweat, and 3) A way inside the body, which could be as small as a blister or ingrown toenail. 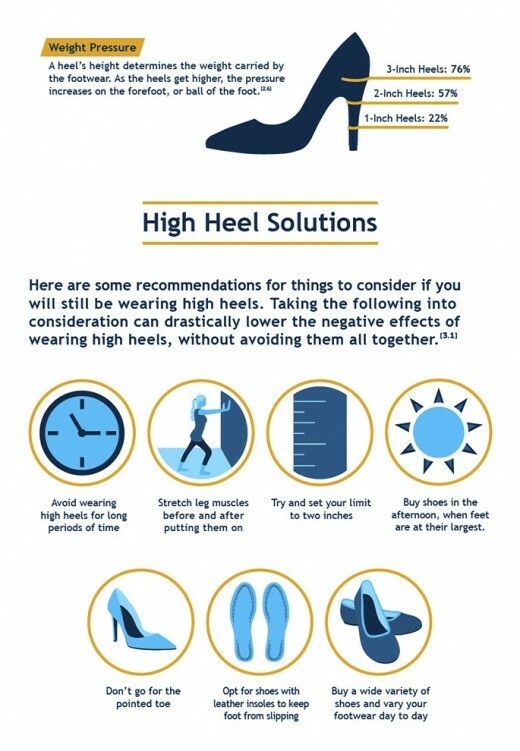 Loyola University Health System podiatrists say that ingrown toenails are largely caused by repeated trauma from wearing high heels. ” These shoes create chronic pressure on the big toenails and prevent them from growing properly. Additionally, shoe pressure can cause the nail to puncture the skin leading to infection,” they explain. Many people just try to suffer through the pain in the pursuit of fashion and ignore damaged nails, which will only get worse without treatment. Furthermore, as Dr. Rodney Stuck indicates, high heels can cause the feet to swell, which causes friction of the foot against the shoe. This friction can turn into painful, raw blisters — an opening that can allow microbes entry into the body. If a person comes into contact with harmful microbes, infection is likely. Not only can a person come down with foot fungus, but athlete’s foot, plantar warts and bacterial infections too. The Sarasota Foot Care Center just doesn’t buy the argument that heels are the bad guys. They argue, “Pedicures, high heeled shoes and nail polish have all been implicated in the cause of nail fungus. This is simply not true. The vast majority of men have never had a pedicure, worn high heels or used nail polish and yet men are just as likely to have nail fungus as women.” It’s true that the situation is much more complex than boiling it down to a matter of shoe choice. Putting our feet first can help eliminate nail fungus concerns. Washing the feet daily, always wearing fresh and dry socks, and alternating breathable footwear to allow for proper drying time will ensure that your shoes are not the sort of place fungus likes to set up shop. We also recommend sanitizing the shoe each night with a UV light shoe sanitizer to kill up to 99.9% of the microbes that may be living inside the shoes. Limiting your exposure to bacteria and fungus is crucial. You can also minimize your contact by wearing shoes in all public spaces — pools, locker rooms and showers, for example. All blisters and small cuts should be cleaned and treated with something like Neosporin and bandaged. High heels are okay in moderation, but look for styles with wider toe-boxes that will not injure the nail.